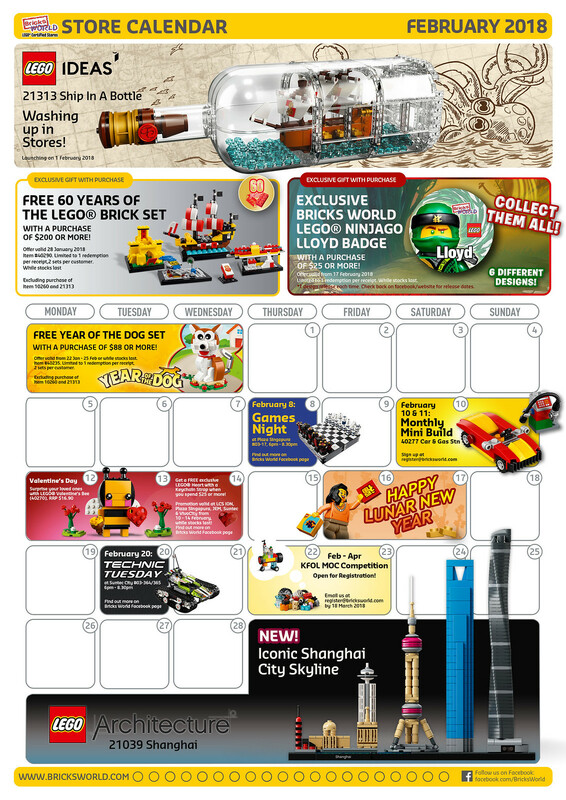 Bricksworld LCS, a Lego Certified Store chain in Singapore has released their LEGO store calendar for February 2018 and it seems to be quite an activity filled month for everyone. 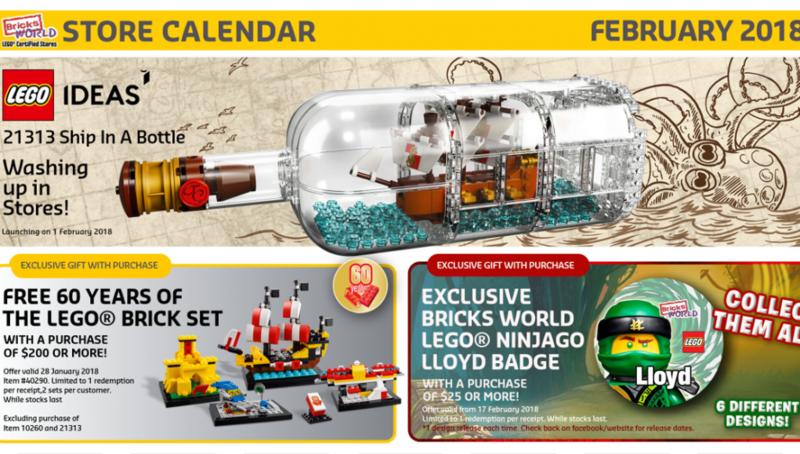 3) Exclusive Bricksworld Ninjago Badge – Lloyd with a qualifying purchase of S$25 effective 17 February 2018 while stocks last. 1 Redemption per receipt. 6 badges in total to collect! We suppose other variants will be released in the coming months. Feb 20 – Technic Tuesday at Suntec City. As usual, the calendar signs off with a call to join as a member to enjoy 10% discount off purchases all year round! They have helpfully listed all their outlets too so you can find one near your location. 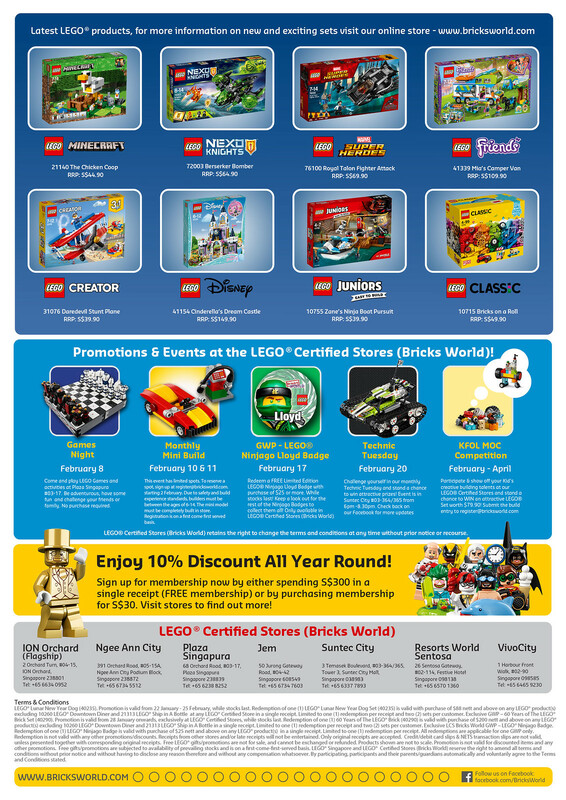 Follow them at www.facebook.com/Bricksworld for updates on LEGO and all the fun and educational activities you and your family can do with it!